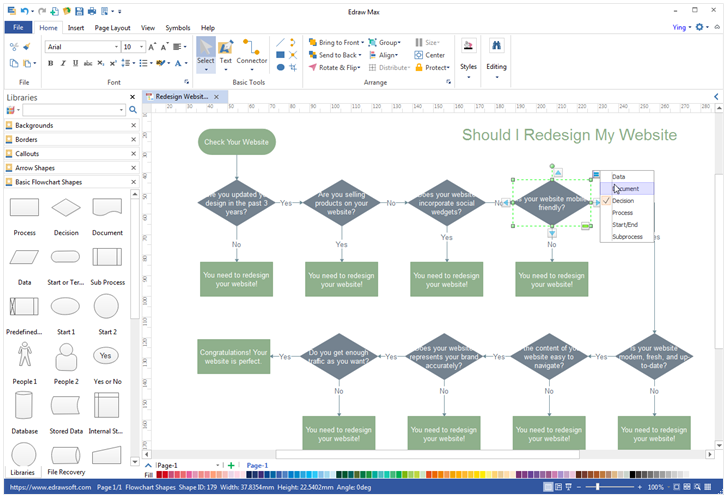 Edraw Max is the best Visio alternative for Windows, Mac and Linux to quickly create flowchart, mind maps, org chart, engineering diagrams, etc. What is the best Visio alternative to create vector diagrams? The answer is Edraw Max. It is Visio compatible and a full-functioned Visio alternative for students, teachers and business professionals to reliably create and publish various kinds of flowcharts, mind maps, organizational charts, network diagrams, floor plans, electrical diagrams, software design diagrams, maps and more. Why Edraw is a Great Visio Alternative Software? 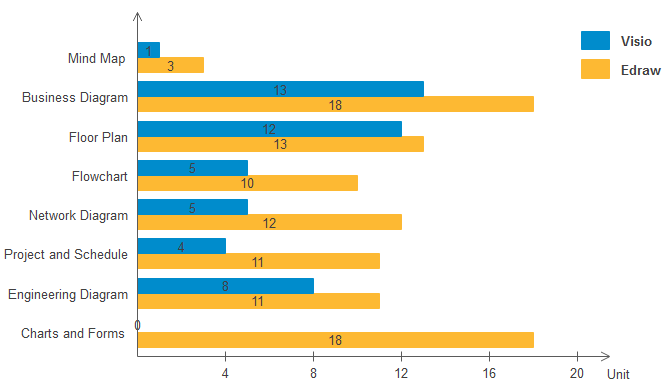 Many Visio users have to give up Visio because of its high price and frequent renewal. Among of them, many people choose Edraw for Visio alternative. Edraw is affordable and capable for hundreds of diagram creation. It's one of the best desktop Visio alternatives which is fast, easy, and stable. Many people might mistakenly believe that software with higher price will definitely better than the one with the lower price. About this concern, please be rest assured that Edraw is dedicated to offering quality diagramming software for our most respected users at an affordable price. We are continuously working on the product and trying to make it better and better. Now it could fully replace the functions and features in Visio, and even works on Mac and Linux OS. Moreover, if you choose the lifetime license, you will gain a lifetime upgrade maintenance for free. Don't worry if your colleagues or clients are still using Visio. Edraw is fully compatible with Visio, so you can share files and collaborate with other Visio users. Import: Edraw could open and edit a file from Visio. Export: Edraw could export an EDDX file to Visio format, so that others who is using Visio could open and edit the file. 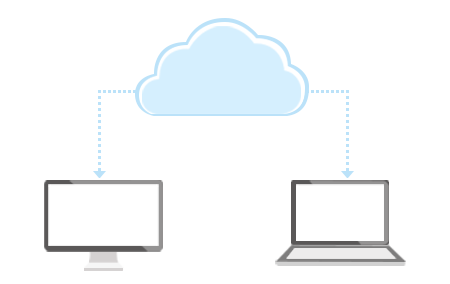 Visio is only available on Windows, but Edraw could also work on Mac and Linux. This is a great benefit for cross-platform users. Edraw gives you much more drawing possibilities than Visio. It's a truly all-in-one diagram software trying to solve all your diagramming and data visualization issues. Besides flowcharts, mind maps, floor plans and org charts, you can also draw infographics, fashion design, cards, business forms, etc. Each type come with good-looking templates and examples that you can start on. You spend one payment for hundreds of products. Visio requires additional payment for every upgrade service, but Edraw offers a lifetime license and the price is much cheaper. Moreover, we offer more tutorial materials, including user manual (PDF), dynamic help (within the software), and online videos. Edraw not only contains the features Visio has, but also includes some features Visio doesn't have. For example, the floating buttons make it more straightforward to diagram, and the vector sketching tools let users design any symbol fast and easily. One of the main reasons people choose Edraw instead of Visio is that it supports more diagram drawing types. Each drawing type includes extensive design symbols and examples for users to get started fast. From the chart below, you can easily recognize the difference. Food, Music, Tourism, New, Business, architecture, etc. Report Form, Sales Form, etc. Chemistry Equation, molecular model, etc. Team collaboration in Visio is not available if you don't pay to get the Microsoft Sharepoint. But as a better Visio alternative, the function is already built-in in Edraw. You can use it anytime you want. Edraw cloud help you save process, share documents, comment works, and collaborate with team members effectively. How to Choose Visio Alternative - Online or Desktop?